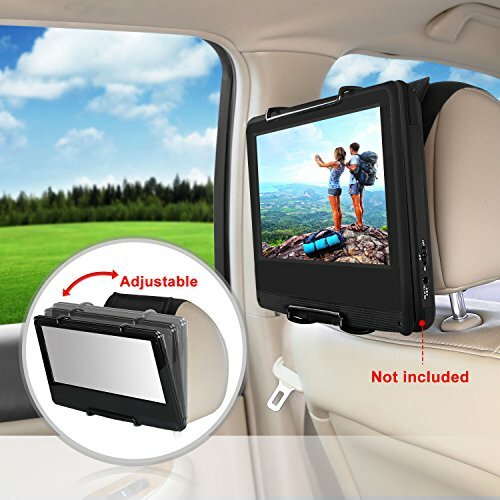 Note: Please pay attention to your portable DVD player size: Fit for 10.1-12.5 inch Swivel Screen Portable DVD Players (DVD player thickness requires about 35-42MM.). Constructed from durable elastic strap with metal clips allow for easy, quick and secure mounting to car headrest.Free your hand and enjoy movies or videos at back seat. Angle adjustable top holding clamp and elastic strap allow you to view the screen at a comfortable angle. Made of durable oxford cloth,light weight, soft touch, and great durability. Can be folded up compactly for easy stowing in your vehicle when not in use. If you have any questions about this product by CUtrip, contact us by completing and submitting the form below. If you are looking for a specif part number, please include it with your message.